Module-level monitoring provides the most precise and detailed information on the performance of solar power system, it helps to identify module problems such as partial shadings, PIDs or blown diodes. With such solution, O&M teams are able to save their fault-finding time and increase maintenance efficiency. 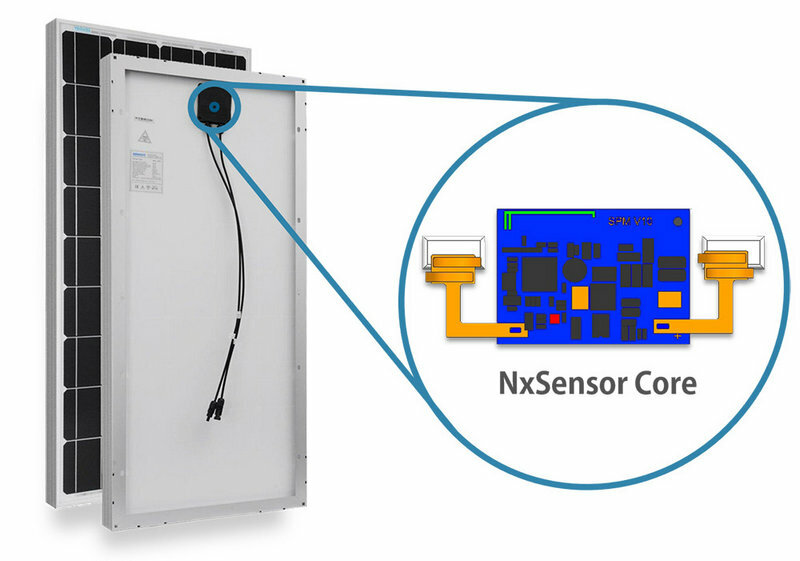 The sensor unit is the core component of the NxSensor system, it is a MLPE (Module-Level Power Electronics) device that can be integrated into different forms of solar panel's junction box or add-on/retrofit box, and it continuously measures voltage and temperature of the associated PV module. Besides monitoring, the sensor unit also supports module-level rapid shutdown functionality, complying with NEC 2017 690.12 RSD requirements. For J-box models it supports, please check here at Smart Junction Box, or Add-on/Retrofit Box. How to monitor a solar panel's performance? 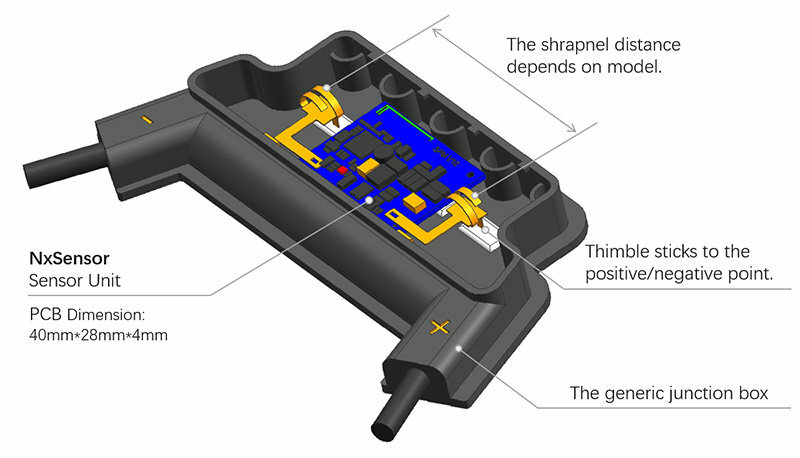 We use the integrated junction box to illustrate how it works. For add-on/retrofit box, the working principle is similar, the difference is in wiring connections and the box shells. The sensor unit has a pair of thimbles sticking onto the positive and negative sides of the conducting strips in the junction box, respectively. They are used to sample the panel's voltage output. Since all panels on the same string have same current, voltage is an important index to measure a panel's performance. The sensor unit also has an onboard temperature sensor, it is used to measure the temperature of a junction box. Defective bypass-diodes in junction box are a common failure, they most often show up as rising temperature at early stage. For current monitoring, we will have dedicated device on each string to acquire and measure current data. Coming soon. All in all, the sensor unit constantly monitors the panels for low performance, and for over voltage, over temperature, over current as well. 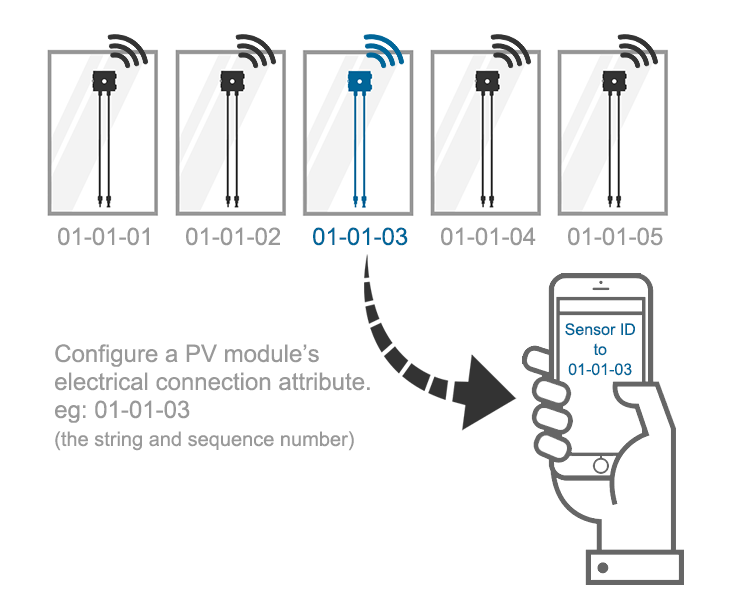 NxSensor has a mobile APP to configure the panel's electrical connection attributes, such as the string number and the panel's sequence number. This could be used as an ID to pinpoint a solar panel in a power system.